The American Philatelic Society is both the oldest and largest stamp collector organization in the USA. It is a great source of information through its American Philatelic Reference Library, it provides stamp expertising services through APEX and also has a sales store with member material offered for sale and sets very specific standards of ethics for it’s members. 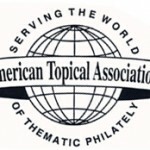 The American Topical Association is dedicated to collecting of topical stamps. It publishes numerous checklists of topics to help the topical collector identify all stamps with their topic. The American Stamp Dealers Association is the largest US organisation for stamp dealers. They set definitive standards of ethics for their members and can tell you about a dealer near you.